The republic of Kosovo proclaimed its independence from Serbia a decade ago. What consequences has this move brought to the country - and the world? 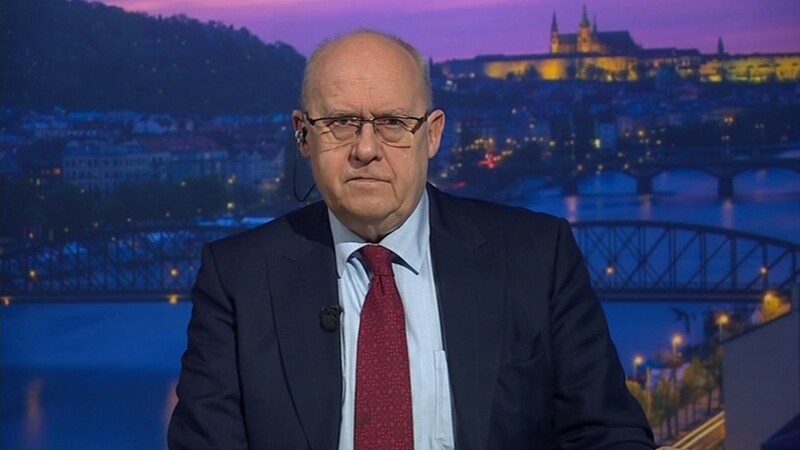 We talk to Jan Kavan, former president of the United Nations General Assembly and former Foreign Minister of the Czech Republic. Sophie Shevardnadze: Jan Kavan, former president of the United Nations General Assembly and ex-Foreign Minister of the Czech Republic, welcome to the show, it’s really great to have you with us. Mr. Kavan,10 years ago Europe had a new state born in Kosovo. Back then you said the proclamation of independence and its recognition was a big mistake. 10 years on, do you still think the same? SS: That’s what my next question is about. Mr. Kavan, I was going to ask you - you also said that recognising Kosovo’s independence proclamation and not recognising Abkhazia or Crimea is a double standard - but the Western powers explain that by saying that all these cases are unique and shouldn’t be used as precedents for each other. Do you agree with their point? JK: In my opinion any such political moves create precedents either positive or negative ones. As far as I’m concerned and I’m not the only one, it was perceived by many of my colleagues in the Czech parliament, for example, that the unilateral declaration of independence of Kosovo created a precedent for Northern [Southern] Ossetia, for Abkhazia, for Crimea. In the future Catalans in Spain may be inspired by this, or any other similar movements. Therefore, as a former diplomat I strongly believe in following the provisions of international law. And, therefore, if I refer to the Helsinki Agreement I like the idea that break-ups of any such entities should be a result of an agreement between both parties. If Belgrade had agreed to it at that time it would have been ok. Same as when my own country Czechoslovakia divided into the Czech Republic and Slovakia it was a result of an agreement between both parts, that, I think, corresponds to international law. But unilateral declaration of independence is wrong. SS: I want to talk a bit about Kosovo itself. With Kosovo’s separation, the ethnic Serbs in the north vowed to ignore the new state - and for years that’s what they did. Sometimes the tensions rose so high that the former president of Serbia has said he’s ready to send troops in to protect the Serbian population there. Can there be a conflict between Serbia and Kosovo over the northern territories? JK: I hope that any conflicts will not take form of a military confrontation, but a conflict that can be solved in negotiations and by political means. But upon my own information the position of the Serbian minority in Kosovo, for example, around Mitrovica, is not the one which would correspond to the EU criteria for treatment of minorities. And I do hope that when the negotiations of both Pristina and Belgrade to join the European Union will proceed further the European Union will ensure that both countries will fully conform to the Copenhagen criteria and other criteria including the criteria for treatment of minorities. Therefore, this must be reflected in the level of education, level of access to their religious buildings, churches, ceremonies etc. SS: But, Mr. Kavan, what gives you the hope that they will abide by the Copenhagen normatives? JK: If they wish to join the European Union the Copenhagen criteria is one of the basic ones. I can’t see how they could join the EU if, for example, the level of democracy is violated, if they are convicted or perceived as a corrupt and inefficient country which would ignore the rule of law. So for me the Copenhagen criteria is something unsurmountable. I mean they have to conform, otherwise they can’t join the European Union. SS: Most of Kosovars are ethnic Albanians. Albanian Prime Minister has already voiced the idea of a single president for both countries at some point. Do you think Albania could eventually absorb Kosovo, if the Kosovar state will not get itself together in the near future? JK: That’s a very complex question. If I’m critical of the unilateral declaration of independence of Kosovo, that doesn’t mean that Kosovo should be basically taken over by Albania. I acknowledge, of course, that in both countries the population is ethnically Albanian. However it would throw into the question the very principle we’re now discussing. If Kosovo is declared as a sovereign independent country then I can’t quite foresee how by the international law they can become a province or part of some federal arrangement with Albania. I think, this would be unacceptable for the government of Serbia. And I hope, it would be unacceptable for most of the international community. SS: The Kosovo Specialist Court - a tribunal set up to investigate Kosovo Liberation Army members abuses during the conflict with Serbia - is in danger, the Kosovar parliament is considering suspending it. Since the Prime Minister, the President and the parliamentary speaker are all former commanders of the KLA, do you think there’s foul play here, someone wanting to hush things down? JK: I do hear from some of my friends who live in the region that close to the leadership or at some influential positions in Kosovo there are still members of the KLA who were in the past at least strongly suspected of having committed crimes during the military confrontation. If this is the case they should be tried. I’m a believer in the Hague court but the problem is that not all the people are brought to the Hague. Some who were brought to the Hague in the past were surprisingly released without being tried. Other people received very high and long sentences. So that creates an atmosphere in which the whole question of the application of justice is being thrown into doubt and that is not good for the atmosphere of justice. SS: Serbia’s membership in the EU is resting on Serbia’s recognition of Kosovo - but for now, the public opinion in Serbia won’t allow that. So Serbia will never join the EU - because it will never recognise Kosovar independence? JK: I’m aware of this condition and I’m a strong believer in the European Union. And I do believe that both Kosovo and Serbia should become members of the European Union. But I do believe they should become members simultaneously - at the same time, facing same conditions and same criteria of fulfilment of these conditions. The conditions currently put forward by the European Union to the Serbs that they have first to recognise the independence of Kosovo before they could join the EU - I’m very unhappy about it because it gives the impression of an ultimatum, of a pressure, of even a blackmail, if you wish. This is unfair. This creates an unfair position for Serbia in comparison with the position of Kosovo. So I do very much hope that sensible politicians in the European Union will rethink this condition and look for a negotiated compromise between Kosovo and Serbia - compromise, which should be educated and arranged by the EU, by the offices of the EU. As you know, at the moment still five member countries of the European Union have not recognised Kosovo. And I do believe that if such compromise isn’t reached you will not have a unanimous acknowledgement of the independence and membership of Kosovo in the European Union by all member states. SS: Mr. Kavan, like you’ve said in the first part of our programme, the EU recognised Kosovo, but lots of EU members didn’t - Romania didn’t, Greece didn’t, Spain didn’t. How is Brussels supposed to go about that when talking about a Euro future for Kosovo? JK: Yes, in addition to the countries you’ve mentioned also Cyprus and Slovakia didn’t recognise the independence of Kosovo. And it’s understandable. If you look at those five countries common denominators between them are sizeable minorities on their territories - and therefore an obvious fear that recognition of Kosovo under the current conditions may encourage those minorities to follow the example and declare independence. And I think, Spain today is facing the problem of Catalonia and maybe in the future also with the Basques, and is fully aware of these dangers, and may be one of the countries pressurising Brussels to find a more amenable and more acceptable way of discussing the future of Kosovo. At the moment I don’t see how both countries could join the European Union fulfilling the conditions put forward by the EU, i.e. Serbia acknowledging the independence of Kosovo - something which, I fully understand, is unacceptable for them and agree with them. I’m not judging the merits of the case in the past in the mutual history of the two countries. But the actual declaration of independence in my opinion was a violation of international law and I don’t see why member countries of the European Union from Serbia all the way to my best friend Slovakia, Cyprus, Spain, Romania etc. should accept the violation of international law that takes place in one part of Europe and would be condemned in other parts of the world, for example, in Asia. SS: What do you think made the UK and Germany and France so enthusiastic about an independent Kosovo? What’s in it for them? JK: That’s a very good question, but I think you should address such a question to the representatives of France, Britain and Germany. In the past, of course, Germany has been known to support the break-up of former Yugoslavia, they supported the independence of Slovenia and Croatia. Maybe they do believe that such unilateral declarations of independence are an expression of the principle of self-determination which is an important international principle, but it cannot be used to justify other forms of violation of international law. I think that former colonial powers like United Kingdom and France with a history of difficult negotiations of independence of their former colonies should be aware that simplified solutions can create problems for the future - major problems like we now see in Syria, in the Middle East etc. So I would appeal to those countries not to go for the easy solution which is to support the unilateral declaration of independence of Kosovo. SS: The EU was lukewarm to the idea of Scottish and Catalonian independence, even though they went about it the peaceful democratic way, yet Brussels throws all its support behind Kosovo. Why is that, why is Kosovo’s independence better than the Scottish or Catalan? JK: A very good question that goes back to what I said earlier. It creates a precedent. You can’t say that something is good in Kosovo and bad for Barcelona or Crimea or whatever. Either the principle is good or the principle is bad, it has to be applied equally. And that is not being done. This is what we protest today. There are a number of members of parliament of the Czech Republic and other prominent figures who are at the moment signing a petition addressed to the Czech government, asking them to renounce their decision of 2008 to recognise the unilateral declaration of independence of Kosovo. Let’s go back to the negotiating table, let’s drop all the preconditions and find an acceptable compromise - whether it’s a strong autonomy of Kosovo within the region or independence but with certain concessions for Serbia and so on. It’s very important not only for Kosovo but in my opinion also for the future of Catalonia. I listened to the leaders of the regional government of Catalonia, I fully see their argument. And I think, the first response of the Spanish government of sending police there which brutally suppressed peaceful demonstration, peaceful expression of will of the Catalans to vote clearly helped those who declared the preference for independence. It was the result of the brutal police’s actions, the support for the independence only increased. This is not a way to find a solution, this is a way to create conflicts, problems and tensions. And it’s bad not only for Spain, it’s bad for the Balkans and it’s bad for Europe. SS: So, the recent EU Western Balkans strategy includes Kosovo as a potential member - but the Kosovar president Thachi says there is no clear path written out for his country. Does the EU really want Kosovo as member? JK: It’s a very good question. It very much depends on how you define the EU. The EU as the entity of 28 countries don’t have a consensual view on this question because, as you know, five member states have consistently refused to recognise the independence of Kosovo. Therefore, they would oppose a membership of Kosovo in the European Union under the current conditions. And, as you know, at the moment only 116 member states of the United Nations have agreed to the independence of Kosovo and even that almost took almost 10 years. For many years it was less than one hundred, i.e. 50 per cent of the membership of the UN. So this is a major problem for Kosovo in the future but it’s also a problem for the European Union. The European Union should be honest and consistent and follow its own criteria ranging from self-determination all the way to the respect for international law, respect for the UN Security Council Resolution 1244 and the respect for the final act of Helsinki. SS: Head of EU Rule of Law mission in Kosovo Malcolm Simmons resigned, saying “he doesn’t want to take part in a farce”. The mission has been there for years, but without much success in establishing the rule of law. But can a foreign party really do that in any country? JK: No. A foreign entity cannot do that unless it’s a foreign entity representing some kind of occupying power, some kind of power which is stronger than the power of the sovereign government of that country. If a country is independent, if it’s truly sovereign then the foreign entity cannot impose its own perception of the rule of law. On the other hand, foreign entities willing to help to establish the rule of law can and should play a positive role in such procedure but only in cooperation with the government of the country, with the parliament of the country, in my opinion, also with the major NGOs and other bodies representing the public opinion. SS: I just wanted to tell you that it strikes me that Kosovo is being treated by the West as a little baby. I mean, their attitude is a little arrogant, like they’re on a “civilising mission” - first NATO fought the war for it, then it stayed to make sure Kosovars don’t misbehave, UN mission ruled it, then it backed the independence and is still doing the legal work, the economic work, the security work for Kosovo. How long is Kosovo going to be EU’s toddler? JK: It’s also treating Kosovo as a country which should be automatically loyal to those political forces which helped them to declare unilateral independence, i.e. which helped them to divide from Serbia. But, as I believe, that act was wrong. Just very briefly, I know we don’t have much time - at the time I was Minister of Foreign Affairs and I initiated what was called “Czech-Greek Peace Initiative” which was aiming not only to end the bombardment of the former Yugoslavia including Kosovo, but it wanted to create conditions for a negotiated peace that would ensure stability in Kosovo and the former Yugoslavia. And this led, in fact, or helped to lead not only to the ceasefire and the declaration of peace but it also led to the UN Security Council Resolution 1244. And I think we should return to the conditions expressed in that resolution which are still being violated. And that means that Kosovo is being treated differently from Serbia and that, I think, is wrong. SS: Alright, Mr. Kavan, thank you for this interview. We were talking to Jan Kavan, former president of the UN General Assembly and ex-Foreign Minister of the Czech Republic discussing whether Kosovo has become a self-reliant state ten years after declaring independence. That’s it for this edition of SophieCo. I’ll see you next time.